More Than Paper is excited to be doing a giveaway on our Facebook page! Show your camp pride by answering: "What camp do your kids attend or what camp did you go to? Let us know by commenting below or posting a picture of your child's camp to our Facebook page. 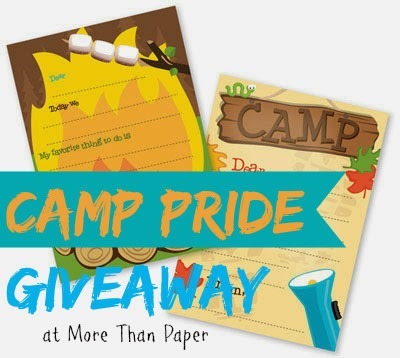 Each comment and each photo will be entered to win a package of camp stationery. Ends 5/16 so comment now! Click here to comment on the post.